To celebrate spring’s natural beauty, create a homemade centerpiece with the season’s most gorgeous flowers. You can put the flowers in a beautiful vase or hollowed-out eggshells. You can also fill a glass canister with sand and insert flowers and candles to embellish your table. Be innovative when adding seasonal elements to your dining table. Eggs are a common feature during Easter. Integrate them to your Easter table to remind everyone of the reason for the season. You can paint eggs different colors, place them in a trifle dish, and display them. 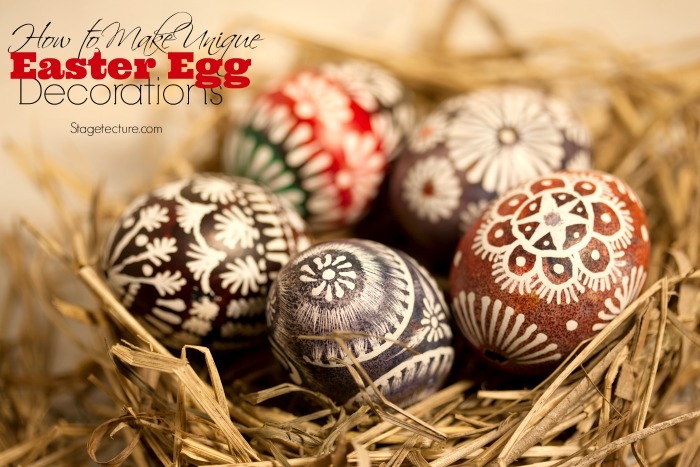 When painting the eggs, use at least three paint colors for added appeal. You can also add glue dots to the eggs to create a glamorous centerpiece. Place them on a bed of moss for a natural effect. To create the ultimate centerpiece, place egg nests on a two-tier dish. Paint the eggs before placing them in the nests and add twigs for a natural look. Colored eggs bring spring hues to your dining table. 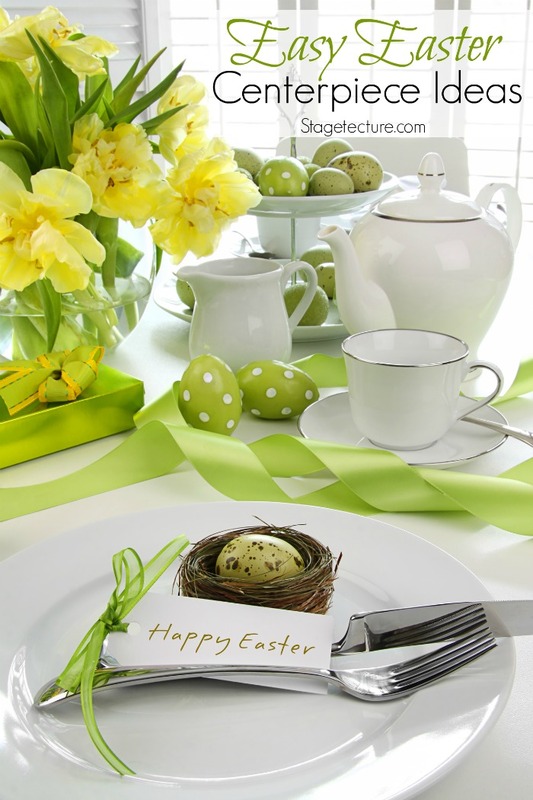 Set off the bright color of the eggs with bold name cards and napkins. You can also place the egg nests in an Easter basket. A glittery gold vase makes a great home for dazzling orange and yellow flowers. Place the vase on a light-colored tablecloth to draw attention to the centerpiece. To complete the look, use simple white plates, thin stemware, and timeless flatware. They will add to the elegance of your rustic centerpiece. You can also use brightly-colored napkins to match the flowers. 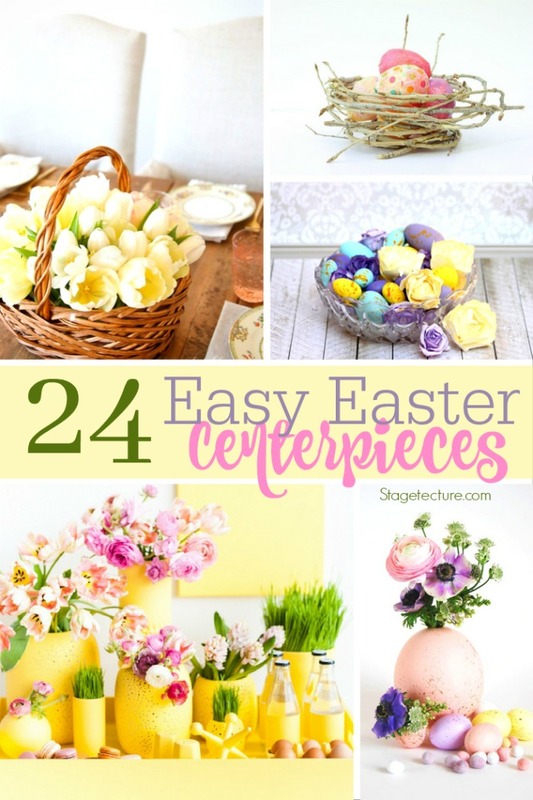 These Easter centerpiece ideas will make you the belle of the ball. They will help you to think outside the box the next time you’re decorating your dining table for a special occasion. Give your dining table a spring look and liven up the entire room this Easter. 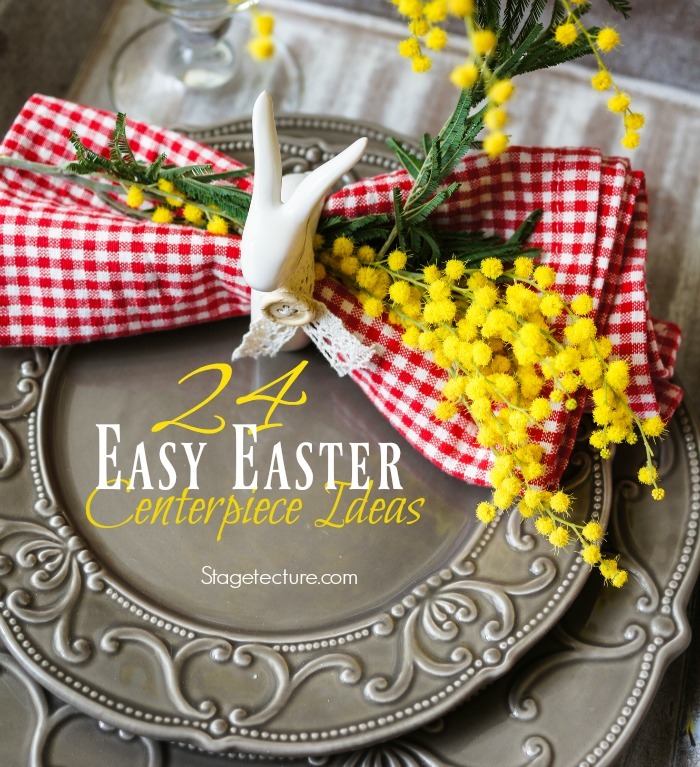 You can mix the ideas or use them as inspiration to make your unique centerpiece.